Smith Mountain Lake is located southeast of Roanoke and has often been referred to as the “Tahoe of the East.” Still within close proximity to larger shopping malls and airports, Smith Mountain Lake offers residents and visitors convenience, worry-free relaxation and city-like amenities. With its magnificent views of the Blue Ridge Mountains and crystal clear water, Smith Mountain Lake is a must visit. The lake’s 500 miles of shoreline and over 22,000 acres of water, creates spectacular views year round and offers the residents and visitors of Smith Mountain Lake an abundance of activities to do while you’re here. Smith Mountain Lake is the largest lake contained within the state of Virginia and has become a popular recreational area to many visitors and residents. Many of the residents of Smith Mountain Lake started as visitors and decided to make the lake their permanent home. The recreational activities are endless at Smith Mountain Lake and I can assure you that there is something for each member of your family. Whether you prefer fun on or off the water, the lake has plenty to offer. There’s golfing, nature walks, biking, tennis, swimming and much more. Smith Mountain Lake is an amazing area for raising a family and finding your love for the great outdoors. 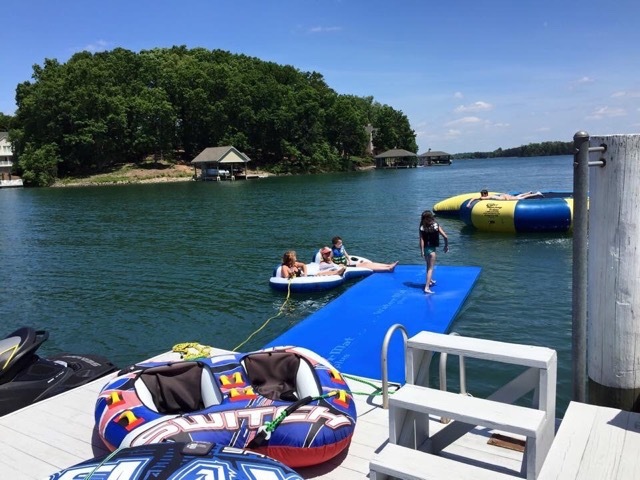 Many of the communities in Smith Mountain Lake offer amenities to the residents such as community swimming pools, tennis courts and volleyball courts, along with private access to the lake. There are also opportunities for residents to join one of the many public and private country clubs that offer a lot of the same amenities to make your experience with Smith Mountain Lake even more enjoyable. Please continue to browse my website for more information on what Smith Mountain Lake can bring to your life. This is a great place for upscale living with all the amenities and is a perfect place to raise your family! I have years of experience to help you find exactly what you are looking for so please give me a call today! I’m here to answer any questions about the area.